Black Cushioned Design Moulded wood toilet seat with Chrome hinge. Grenadine Picture Moulded wood toilet seat with Chrome hinge. Ladies Picture Moulded wood toilet seat with Chrome hinge. 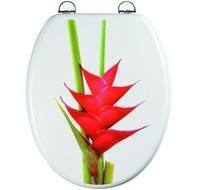 Multi-Coloured Moulded wood toilet seat with Chrome hinge. New York Brooklyn Bridge Moulded wood toilet seat with Chrome hinge.